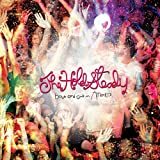 A strong week of fall music releases is highlighted (for me, at least) by the much heralded Hold Steady's Boys and Girls in America and the new Beck album, The Information. Interesting remastered reissues come from Captain Beefheart (Doc at the Radar Station, Ice Cream for Crow), Pretenders (Pretenders, Pretenders II), and Depeche Mode (Broken Frame, Some Great Reward, Songs of Faith and Devotion). Among this week's DVD releases, I am most tempted by Scarface (Platinum Edition), so I'll have something to play if MTV's Cribs ever stops by.